We are in the middle of a war. 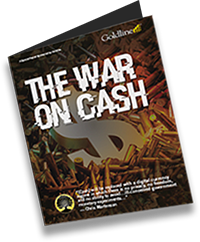 The war on cash. 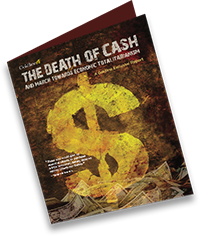 Every day, the world marches closer to a cashless future in which cash has been eliminated and currency is digitized. The initial stages are already underway in Europe, Australia, India and even in the U.S.
explains the movement behind a cashless society, the steps that have already been taken and what happens when we have mandated electronic currencies. exposes the dangers of a cashless society and provides actionable information on how to protect yourself in a world of virtual currency. 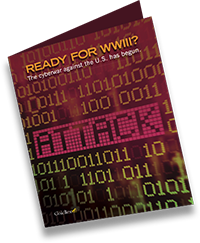 uncovers how cyberattacks against individuals, companies, politicians and even U.S. government agencies threaten our personal and national security and what you can do about them. Or, call 800-963-9798 to request your free copies.